Mater Christi is a purpose built facility located in Sawtell, NSW providing accommodation to 100 residents, including a 25 bed dementia specific (secured) unit. Jeffress and Associates was performed Project Management for an $8 million facility upgrade that included the construction of a new 30 bed nursing home building, a new centralised state-of the-art kitchen facility and renovations to the existing facilities and grounds. BCS-Illowra Place-Lismore is a 26 unit (1 & 2 bedroom) development constructed in 2011-12 to provide affordable and quality housing to seniors who are struggling to find suitable accommodation. Jeffress Associates performed the Construction Project Management in conjunction with Hanna Newman Associates of Sydney. 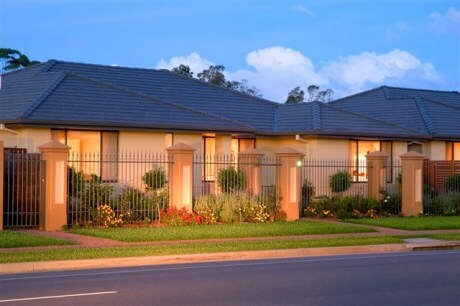 Uniting Care Mingaletta is a 110 bed mixed high and low care nursing home facility located in Port Macquarie. In association with Hanna Newman, Jeffress & Associates were engaged to perform project progress reports during the construction phase of the project. Broadwater is a 46 home retirement village which offers a unique alternative in retirement living. Residents enjoy a prestigious address close to the river and homes that are modern, secure and provide the very best in craftsmanship and location. Homes include 3 bedroom freestanding homes with double garage; 2 or 3 bedroom duplex villas with single garage or 3 bedroom apartments with double garage. Jeffress Associates was engaged to perform cost management and bank progress reporting for the period of development between 2004 and 2010.